You might have come across results where Google showing logo of a site in the knowledge graph that appear on the right and even in search results. Wouldn’t it be cool to have your site logo appear in results or the knowledge graph on the right side? Logo or images quickly would help your customers identify your business and visit your site without scanning through entire results. This may be already working to some level without any configuration on your site. However there is a greater chance that Google may assume any image on your site as your logo and incorrectly show them in search results. Don’t worry. Google supports schema.org’s Organization semantic markup to annotate which image on your site want to be identified as your site logo. Just add few lines of schema markup (refer example below) to your site and you’re done. 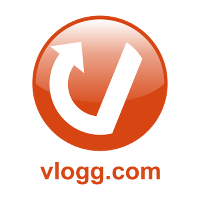 Just replace our domain (www.vlogg.com) with your own domain and google bot will pick up your change during their next scheduled crawl. Adding this markup gives a stronger signal to google algorithms to use the annotated image as your organization’s logo. This logo will shown in Knowledge graph on the right and whenever required will be used in search results.